Just a little more than a month ago the joint meeting of NAIFA South Puget Sound and Washington Association of Fraternal Insurance Counselors was held on the Tacoma Waterfront. The purpose of the meeting was to educate and inspire as well as foster comradery between the insurance and financial professionals in attendance. First we heard from Hal Prucop, attorney at law of Issaquah on some basic estate planning documents and considerations including beneficiary designations that sometimes we take for granted and that may not be in alignment with the desires of our clients and prospects. 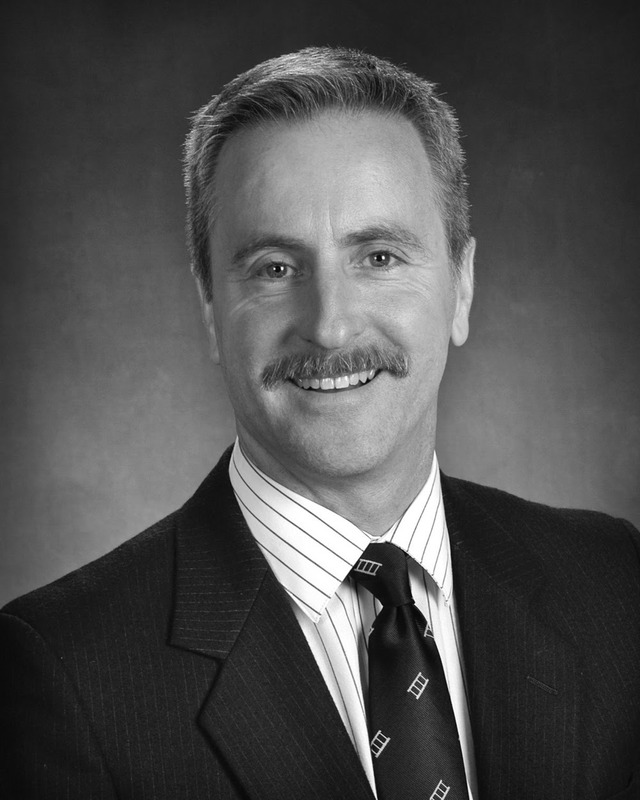 Hal is a very energetic caring attorney that believes in what we do and supports us. We then heard from the well respected Bob Pittman, attorney at law from Fircrest. Bob has been an estate planning attorney extraordinaire for many years and I’m sure already known by many of you. Bob also believes in what we do and works very well with us in accomplishing our client’s objectives. He is a strong proponent of life insurance for many reasons that we also believe and shared several sales ideas including at least one that many of us may not have known about. Inherited IRAs are not safe from creditors. Bob shared some real life stories relating to this issue and how we should consider alternatives to the inherited IRA, like life insurance. 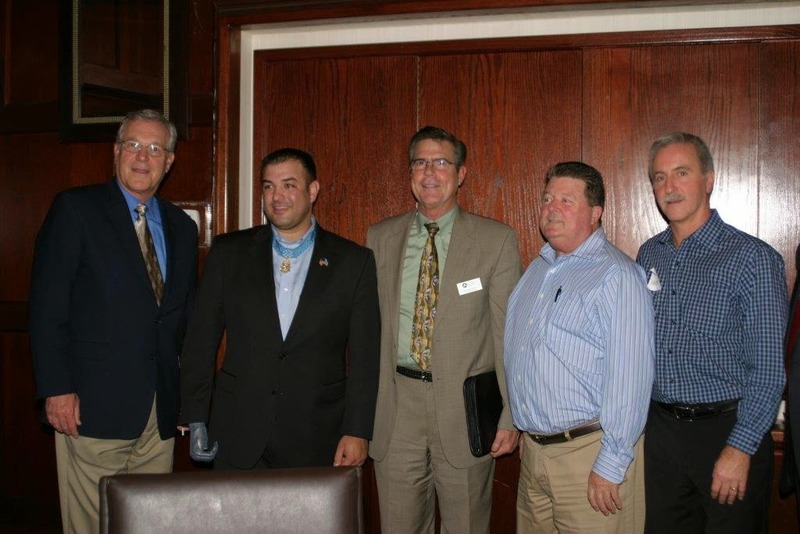 Our final and most honored speaker was Msg Leroy Petry recently retired from the US Army Rangers. He spoke of his life and service to our country. His list of accomplishments was quite extraordinary including our country’s highest decoration the Congressional Medal of Honor which he received for his heroic actions that saved two of the men in his immediate command and vicinity. Leroy told us the details of how it happened. We were quite moved by hearing this first person account and the remarkable actions in the heat of battle. Leroy also made us aware of the new book “For Love of Country” written by Howard Schultz of Starbucks and Rajiv Chandrasekaran. The book has been on sale in Starbucks stores. I just started reading it and highly recommend it to any patriotic American. I tell you about this meeting because I know it is easy to put aside meeting notices from your association and then regret it later or never know if you regret not going. This meeting will be remembered forever by every attendee. 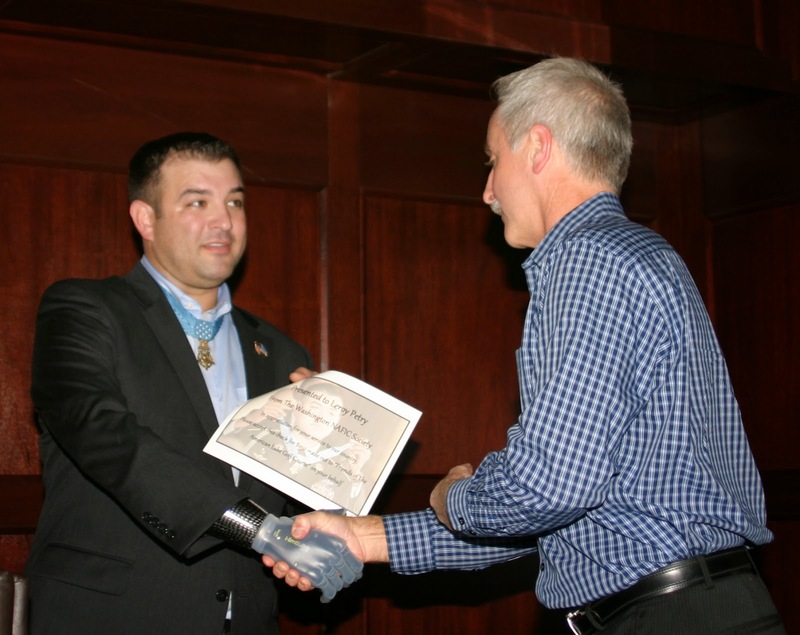 I don’t know of many people who have personally heard from let alone met and shook the hand (bionic for that matter) of a Congressional Medal of Honor recipient. Please pay close attention to your association and be not only a supporter but a participant in it.